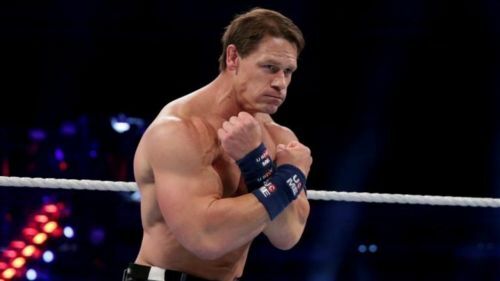 John Cena has been away from WWE for far too long. The 16-time world champion has just wrapped up all his Hollywood commitments and is headed back home again. John Cena has been confirmed for a Miz TV segment at a live event. I don't yet know if this is an indication that he will be on SmackDown Live, during this run. John Cena has been in China recently, where he was filming a movie with legendary action star Jackie Chan. He did show up in Melbourne, Australia to be part of Super Show-Down, in a tag team match. Cena returns to a highly depleted roster, many of whom are battling injuries. A roster where Roman Reigns has taken time off to battle leukaemia and Braun Strowman's immediate future is uncertain owing to his injuries. Cena could play a huge role in making the product interesting again. According to Wrestling Inc, John Cena will be part of a huge WWE Live Event at Long Island, New York on December 27, 2018. And on the show, he will be a guest on Miz TV. Expect The Miz to make fun of his part-time schedule and the fact that he doesn't love WWE like he once used to. John Cena and The Miz had quite the feud with their better halves at WrestleMania last year, where Cena asked Nikki Bella to marry him. At this time, it is not known which brand the WWE free agent will go to. John Cena should be back for a spell, at least leading up to the Royal Rumble pay-per-view. He has the chance to become a 17 time Champion, if everything falls into place. It remains to be seen what the future holds for the man. Which brand should John Cena return on, in his latest WWE run? Let us know in the comments.